$2 Photo Found At Junk Store Has Billy The Kid In It, Could Be Worth $5M : The Two-Way The 4-inch-by-5-inch tintype depicts Billy the Kid playing croquet in the summer of 1878. The only other known photo of the outlaw was taken in 1880 and sold for $2.3 million in 2010. This 4-inch-by-5-inch tintype depicts Billy the Kid and several members of his gang, The Regulators, playing croquet in 1878. Billy is fourth from the left. It's not every day you can plop down two bucks and walk away with some "junk" that is worth a fortune. 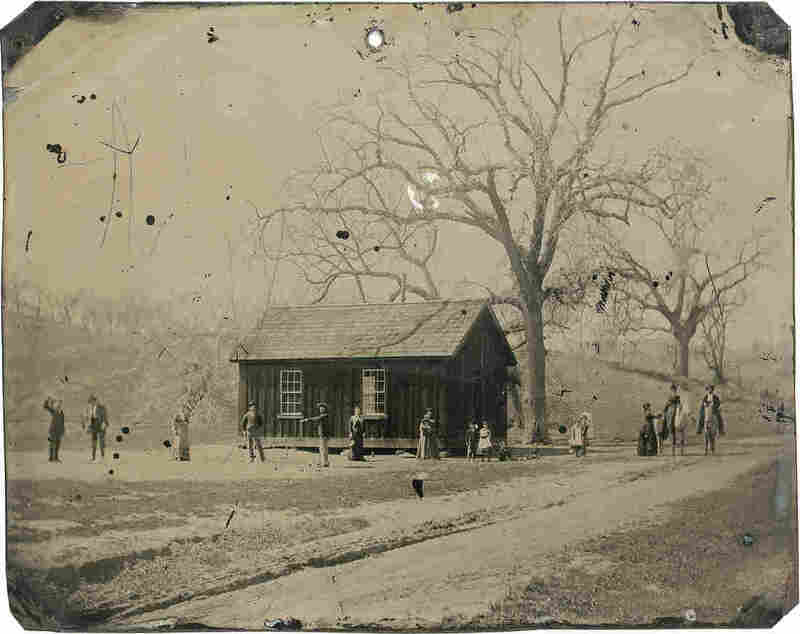 But that's what happened when a collector purchased an old-timey photo from a Fresno, Calif., antiques shop. Kagin's Inc., a numismatics firm, announced it had authenticated the photo earlier this month. The 4-inch-by-5-inch tintype shows Billy the Kid in the summer of 1878. It may have been taken at a wedding, and he is alongside several members of his gang, The Regulators, according to the firm. 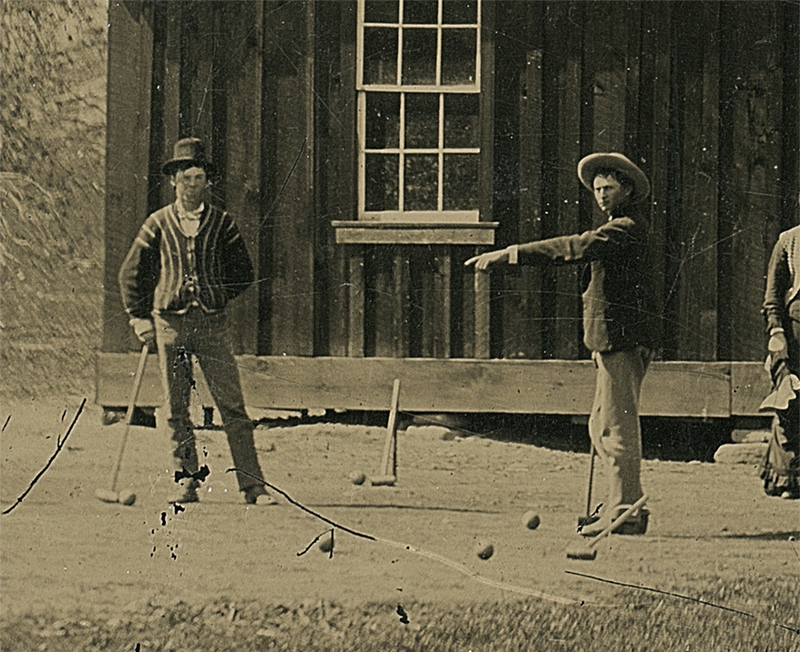 A detail of Billy the Kid (left) in the original tintype. In a statement, Kagin's senior numismatist, David McCarthy, said it took more than a year of careful inspection before the firm would confirm the photo's authenticity. "We had to be certain that we could answer and verify where, when, how and why this photograph was taken. Simple resemblance is not enough in a case like this — a team of experts had to be assembled to address each and every detail in the photo to insure that nothing was out of place. "After more than a year of methodical study including my own inspection of the site, there is now overwhelming evidence of the image's authenticity."